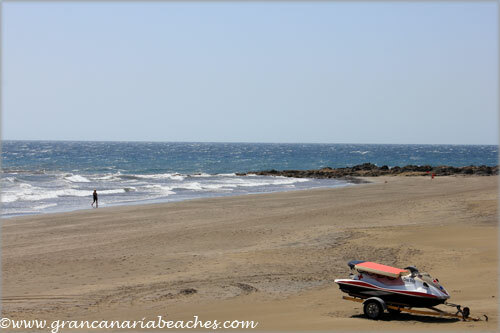 San Agustin Gran Canaria beach is one of the first beaches that attracted tourism in Gran Canaria, mainly among the Scandinavians. 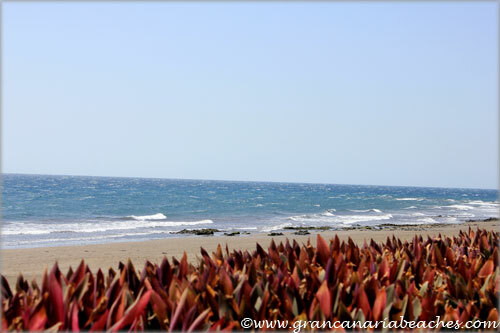 It is located in the municipality of San Bartolome Tirajana, within five minutes by car from Playa del Ingles. It has an approximate length of just over six hundred meters long by seventy wide. It is flanked by the beach of Las Burras on the south. This beach is quiet and peaceful during most of the year, except for the months of July and August, which is when the locals also come and enjoy the sunshine there. The golden sand invites sun and beach-lovers to enjoy the endless days of rest. Its waters have the best quality factors such as salinity, purity and cleanliness, giving it a special value. It is a peaceful and safe to go for a swim, although it is important to keep an eye on the information provided at the Red Cross posts. The waters are calm and with a medium wave intensity force. However, care must be taken when swimming the first few times to know its features, which should be done in every beach the first time one goes in for a dip. All the beach services are available for tourists: plenty of parking space, sunbeds and umbrellas for rent, accessibility for disabled, showers, toilets, Red Cross post. 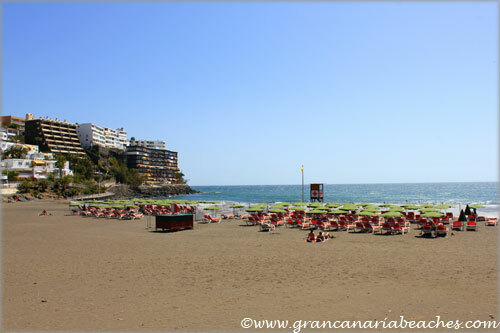 One thing you will not find in this San Agustin Gran Canaria beach is hundreds of shops (there is just one) and restaurants, although there is a small shopping center right next to it. 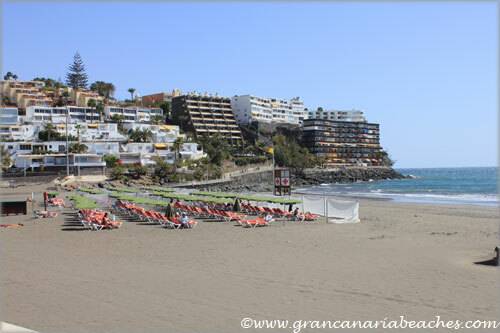 Inland from the coast, you will find many good hotels in San Agustin Gran Canaria. Some of them are now specializing in spa and relaxation treatments, such as the Gloria Palace. 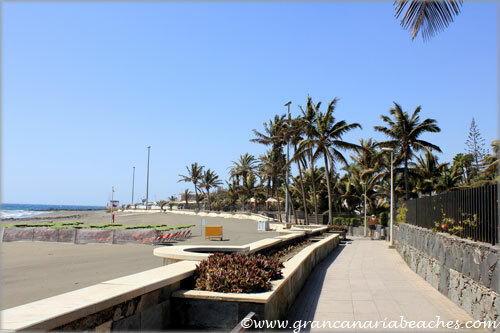 The promenade next to the San Agustin Gran Canaria beach is worth visiting. It is known as “Paseo Costa Canaria,” which means “Canarian Coast Walk”, and is great for joggers and people who like long walks along the seaside. It starts right at this beach, and if you start walking, you will pass all the beaches next to it. First you will reach Playa de las Burras, then Playa del Cochino, then Playa del Ingles, Maspalomas, and you’re at the lighthouse. 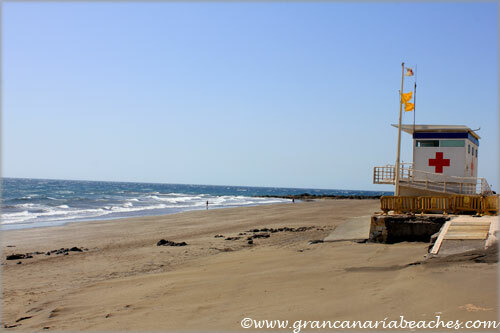 From there if you keep walking along the beach you can reach the Meloneras beach. 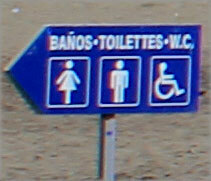 This walk is not recommended for the disabled and the elderly, as it includes a couple of long staircases on the way.